To start with...If one person plant a single tree only...then problem of climate change can easily tackle as we will have more than 6 Billion trees (equal to the world's population). This is really a simple and achievable solution which doesn't require extra efforts. We are slowly (or perhaps even rapidly in some instances) destroying our global environment. Not just by way of global warming, but pollution, over-farming, water usage, and increasing use of all sorts of resources taken from the ground. Technology is supposed to somehow save us from our dystopian future by creating new ways to clean the environment, feed us, and help us become more thrifty and less wasteful. But when? When will we see those breakthroughs, which light at the end of the tunnel? Planting trees in your neighborhood really is one of the best things you can do for the local environment and for the planet. It’s no secret that trees help the environment, but you may be surprised by all the benefits that planting trees can provide. Besides producing oxygen and removing carbon dioxide and contaminants from the air, trees have many other social, economic, and environmental benefits. Trees are like the lungs of the planet. They breathe in carbon dioxide and breathe out oxygen. Additionally, they provide habitat for birds and other wildlife. Forests cover a third of our planet's land. They provide renewable raw materials and energy, maintains biodiversity, protect land and water resources; and play a role in climate change mitigation. However, they can be damaged by fire, agricultural and urban expansion, and other disturbances. Forests are heavily exploited, but important efforts are being made to use and manage them more sustainably. What is the current state of the world's forests? The cutting of trees for making concrete forests in urban areas is also very alarming if we look at the overall tree plantation ratio. Can anybody guess; how many trees are there on Earth? We assume that the majority of the world's trees are in forests. Total forest area in 2005 was estimated to be around 30% of the planet’s land area, just under 40 million km2. This corresponds to an average of 0.62 ha (6200 m2) per capita, though this is unevenly distributed. This estimate was based on data on forest area reported by 228 countries and territories. Among world regions, Europe (which, for the purpose of this assessment includes the Russian Federation) accounts for one-quarter of total forest area, followed by South America and then North and Central America. South America is the region with the highest percentage of forest cover (almost half of the land area) and Asia is the region with the lowest percentage of forest cover (less than 20% of land area). The five countries with the largest forest areas are the Russian Federation, Brazil, Canada, the United States and China. Jointly they account for more than half of the world’s forest area and the Russian Federation alone accounts for 20% of the world total. There is an urgent need of tree plantation around the world to mitigate the climate changes in the environment. As published in Thinkprogress; Ecuador has set an unique example of tree plantation, more than 44,000 people in Ecuador reportedly sowed their way into the Guinness Book of World Records by planting 647,250 trees of over 200 species in one day. 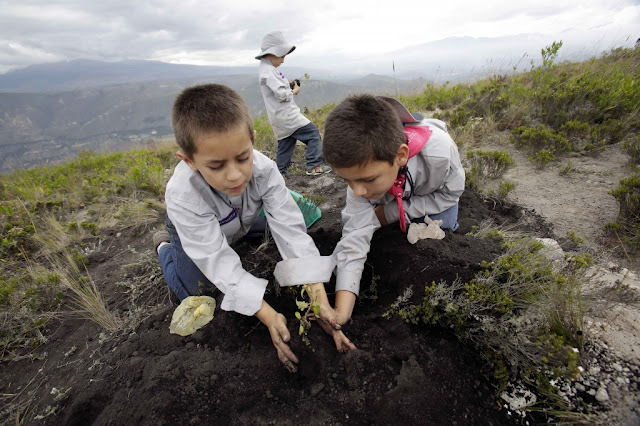 The effort was organized by the Ecuadoran government under an initiative called “Siembratón.” Ecuador’s record was set based on the number of species of trees planted. “There is no record in history of similar events involving over 150 species,” a Guinness Records adjudicator told AFP. 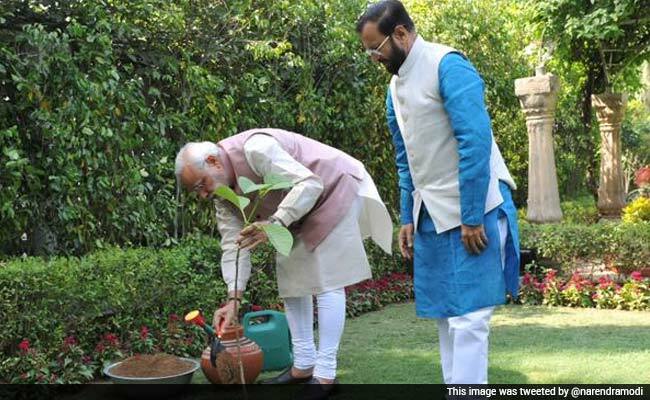 Indian PM Narendra Modi planted a sapling at his official residence 7, Race Course Road on World Environment Day. The ministry for Environment, Forests and Climate Change also celebrated the occasion by planting saplings across the country. Men of the Trees planted 100,450 trees at Whiteman Park in Perth, Australia in one hour last year, setting the record for the most trees planted in one location simultaneously. The record for most trees planted simultaneously over multiple locations was set in the Philippines, with 2,294,629 rubber, cacao, coffee, timber fruit, and mahogany trees planted in 29 locations. India planted 1.9 million in 2011. The benefits are not just confined to climate change or forested areas — reforestation can also bring benefits to urban areas by cutting air pollution like ozone which is hazardous to human health. The crusade of Welfare Activities undertaken by Shah Satnam Ji Green ‘S’ Welfare Force Wing under the pious guidance of Reverend Saint Gurmeet Ram Rahim Singh Ji Insan is leaving no stone unturned for Humanitarian Deeds. 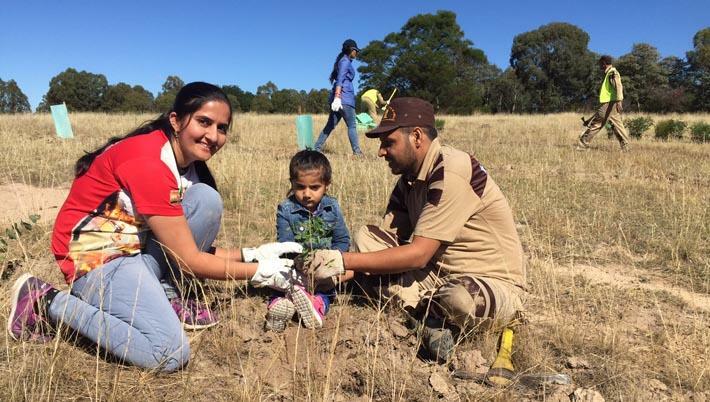 The International Chapter of this wing located at Australia, carried out a tree plantation drive on Saturday, 28th of March 2015. 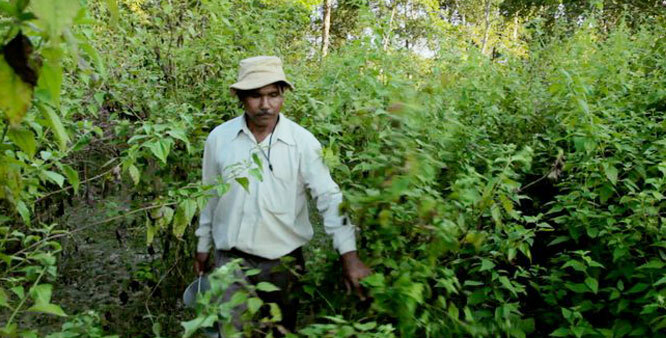 Dubbed as the 'Forest Man of India', Jadav Molai Payeng has single-handedly planted a 1,360 acre forest out of washed-out land. This man-made forest in Assam is a home to large number of fauna including Bengal tigers, deers, rhinoceros, rabbits and a variety of birds. The Molai Forest, named after its creator, was once a degraded area washed away by floods. Teenager Jadav noticed a huge decline in the numbers of migratory birds and dying snake in nearby forest area and wetland. Planting trees can also help cool your home in the summer. The Arbor Day Foundation states that the overall effect of the shade created by planting a healthy tree is equivalent to 10 room-size air conditioners running 20 hours a day! In the winter, trees can act as windbreaks for your home and will help you save on heating costs. The Journal of Horticulture claims that saving on heating costs can reach as much as 25 percent! Trees shade buildings, streets, and homes. If enough trees are planted in cities, the overall micro-climate improves and total energy use for heating and cooling is reduced. Planting the right tree in the right place is the key to saving energy with trees. The right tree in the right place provides wind protection, shade, and cool air, while adding beauty, privacy, and wildlife habitat to the landscape. The right tree in the right place also means tree selection and placement to minimize conflicts with power lines and other obstructions. Many residential power outages are caused by trees interfering with power lines. Cutting of forests from human being – is a threat to civilization. Weather has changed significantly. In some parts of the Earth there are either consecutive years of drought or severe flooding. Forests and water – are the renewable sources, when they are not present, always flowing rivers get dried, water levels in dams get reduced, canals, power generation is stopped and the water is reduced. The trees not only make the soil fertile, but also to generate consciousness in our lives. Air, water and soil pollution can be eliminated by the growth of trees. Let’s start and make a habit of tree plantation in our neighborhood.